Rang-e-Ishq - A Love Story Set in Paradise on Earth! As the video landed in our inbox and we hit play, our romantic hearts flashed back to a few years ago, when a similar setting and shayaari set the mood for an epic love story - Veer Zaara. 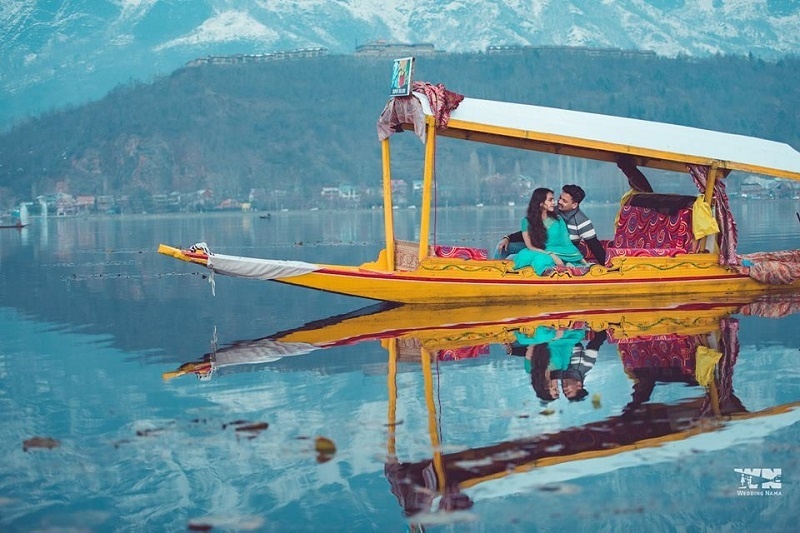 Kiran and Vipul wanted a pre-wedding shoot in Jammu & Kashmir and WeddingNama left no stone unturned for the major feat. When the team and the couple landed in J&K, they were informed that it was one of the coldest winters and Gulmarg had never seen so much snow in the last three decades. While this sounds extremely romantic, it posed a lot of obstacles for the entire team but as they say, "Love conquers it All"! With the zeal and passion burning bright, the team trekked through snow and reached their destination, although not without a few bruises and frost bites! With extra equipment and backup for everything, the team slowly made their way to Gulmarg and other locations where they shot at temperatures ranging between -1 to -15 degrees! Brrr!!! The cooperative locals, one love-struck couple and a team that refused to give up - everything came together and created this video that we now know as Rang-e-Ishq!